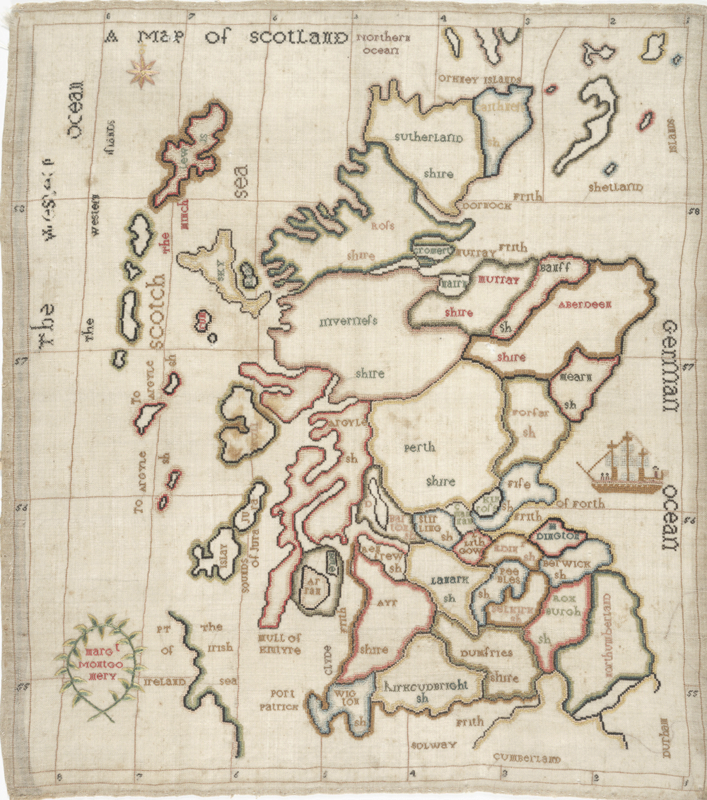 This map sampler created by a girl in Scotland over 200 years ago showed how such craftwork was used to help teach geography. 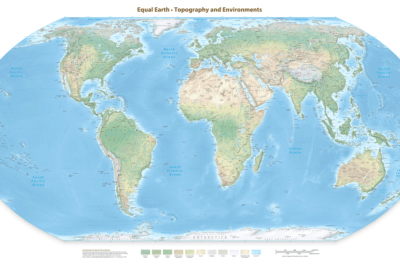 Geography was the first science to be taught to girls. For example, Reverend Jedidiah Morse dedicated his 1784 work, “Geography Made Easy” to the “To the Young Masters and Misses Throughout the United States.” By the 18th century in Great Britain, the teaching of needlework was a popular way of incorporating and learning educational themes. 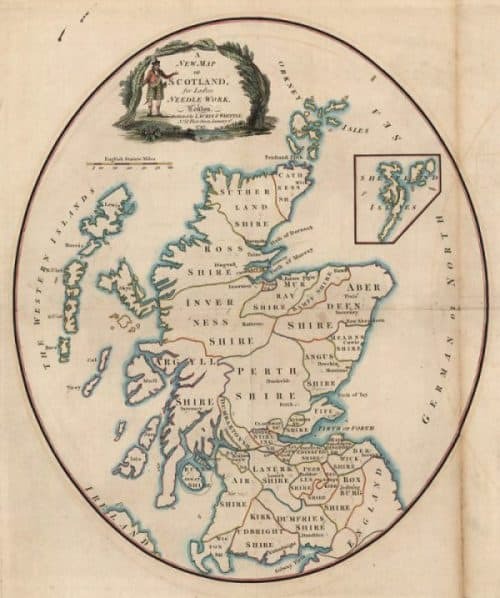 Map samplers, such as this one created by Margaret Montgomery, were one such way of teaching about geography that emerged in the late 18th century. Using cross stitch, young Margaret’s shaky needlework painstakingly outlined the county boundaries. Inside each county, she stitched out the name. Her map even includes graticules, latitude and longitude gridlines as well as a small shaded outline of a part of the coast of Ireland. The geographical errors and variations in the map labels suggest that Margaret probably sketched an outline onto the piece of fabric before commencing her stitch work. Not all pupils needed to create their own needlework templates. Map publishers such Laurie and Whittle (Fleet Street, London) in the late 18th century sold pre-printed maps on fabrics and fine paper templates that would be laid onto a fabric and stitched through as the student followed the outlines. The practice of using map samplers to teach geography to school girls traveled across the Atlantic and was adopted by schools in North America. This map sampler was made by Polly Platt in 1809 at the Pleasant Valley Quaker boarding in New York. 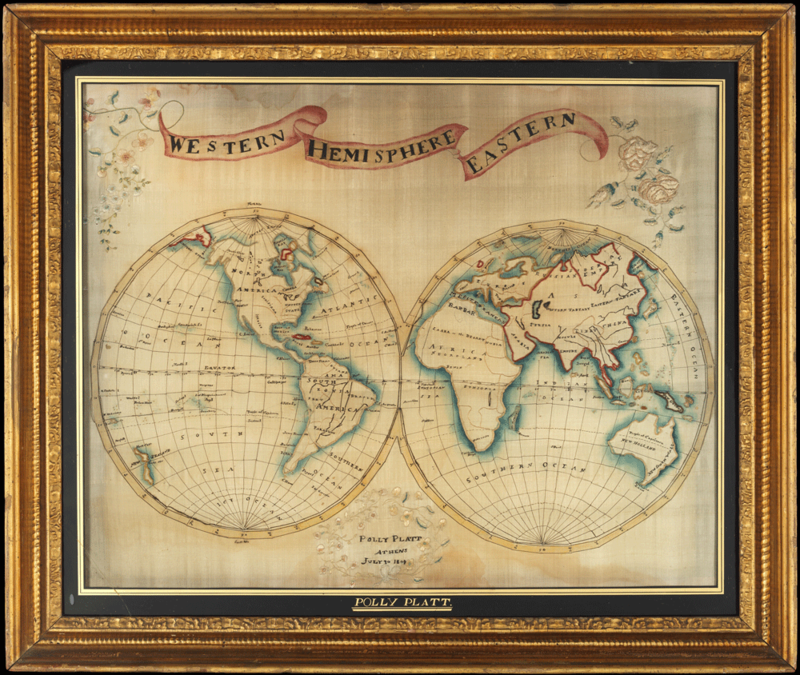 Double-hemisphere map of the world, 1809. Metropolitan Museum Museum of Art, New York, NY. 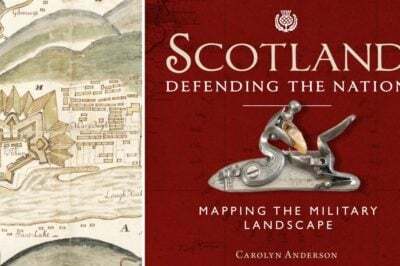 March’s Map of the Month: A map of Scotland. [Stitched by] Margaret Montgomery, circa 1800. National Library of Scotland.